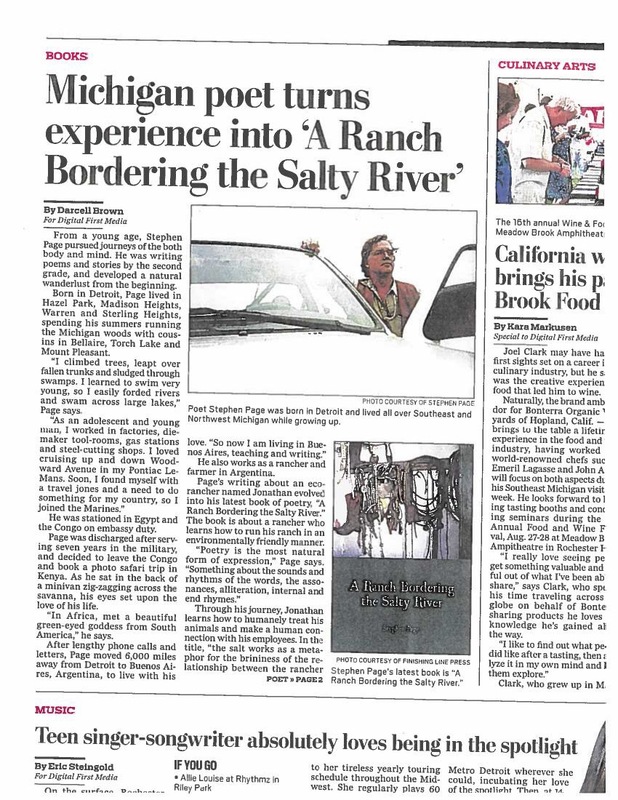 From the Royal Oak Daily Tribune arts section, 21 August, article by Darcell Brown. It’s nice to see a Michigan boy do well and get such great reviews. Yes, I am doing pretty well. Weather is finally warming up, but it’s still below average. It’s okay though, I prefer it cooler. It is supposed to get hot tomorrow. We have had a few hot days so far, but nothing really intensely hot or humid. Yes. Cool springs are better. I think so as well. I’m waiting for those hot days, where I am wishing it was snowing. Really I would prefer it to be like it was the last couple of days, high 60’s to low 70’s.